An update on the property market in The Valencian Region by Lisa Francis of The Property Finders. See bottom for contact details. 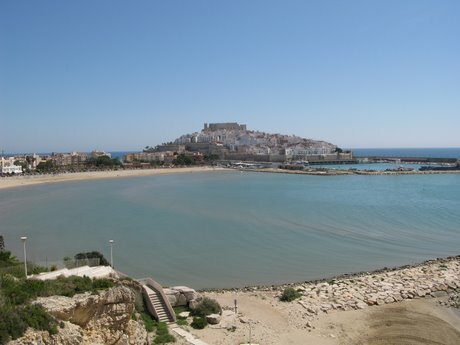 Though parts of the Costa Blanca do spring to mind in any discussion about the worst aspects of mass property development in Spain, many parts of the northern Costa Blanca and the Costa Azahar still have a lot going for them. They offer home-buyers a great lifestyle, and, for those who want, some genuinely authentic Spanish locations almost untouched by foreigners. In comparison to Barcelona and Madrid, Valencia still has quite an immature property market. There are few major cities within Europe where you can buy a 3 bed apartment, 5 minutes walk to the beach and 15 minutes walk to the Formula 1 street circuit, with the city centre a short tram ride away, for €138,000. With a position overlooking port and the Grand Prix circuit a 4 bed 3 bath duplex penthouse apartment with terraces in a secure complex with communal gardens and pool comes with a price tag of €620,000. It is difficult to find a detached property with pool in the city centre, however, you can if you drive just 20 minutes away. On the outskirts of Valencia, a modern, high quality, newly built detached 4 bedroom 3 bathroom Villa, of some 275m2 build with mature gardens currently has an asking price of €600,000. Although the Spanish property market is experiencing a marked downturn, prices in Valencia remain stable without the extreme reductions occurring in areas of mostly foreign investment. And while average property values in Valencia have increased186% since the year 2000 they are still low in comparison to other major Spanish cities. 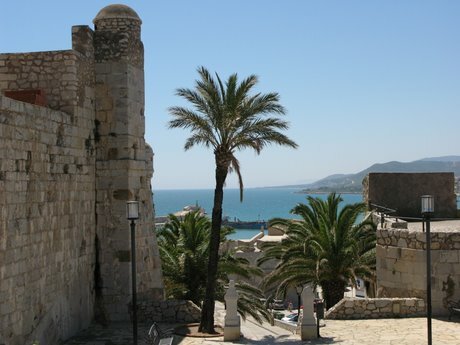 About an hour north of Valencia, in the province of Castellón but still within the Costa Azahar you will find, both along the coast and inland small, unspoilt towns where the property market is dominated by the Spanish, always a good sign. But there are a number of beachside locations that have fallen prey to development and whilst they are being marketed at the next best thing in all year round resorts, it is very important to do your homework because, as soon as the first of September arrives, some of these towns become little more than empty ghost towns. While Valencia city has a relatively stable property market, the northern Costa Blanca is really feeling the effects of the recession. Serious price reductions are now coming through as stretched foreign owners struggling to meet mortgage obligations. In the up market coastal area of Moraira, a south facing 7 bedroom 6 bathroom country house 20 minutes from the coast, with pool, sauna, garage, extensive sun terraces and patio, was put on the market in 2008 for €595,000. The property is currently operating as a bed and breakfast business but could easily be converted into a family home. As an example of a distressed sale in this region, this property has just been reduced to €395,000. Inland from Javea a private finca on a 3 acre plot, totally renovated with 3 bedrooms, 3 bathrooms, living room, separate dining area, bodega, library, various patios and terraces, 100m2 garage, stables and a paddock on a plot of over 12,000m2, was on the market for €695,000. This property has just been sold for €550,000, an example of how lower offers are being accepted in these challenging times. There is no doubt whatsoever that it is a buyer’s market right now. Transactions may be fewer, but interest has recently been rising as investors look for the best deals. There are hundreds of properties on the market, many claiming massive discounts, but if that property was overpriced in the first place as many were, and to be quite honest, many still are, you need to do your research to ensure that you are in fact buying a great deal and to make sure your investment in the mid to long term is protected.